Keeping one’s car in a safe and working condition is a responsibility held by all car owners. Regular maintenance tends to ward off most major repairs, but car owners cannot predict or control issues that lead to manufacturer recalls. 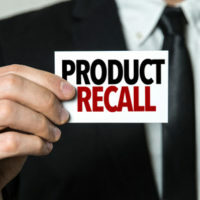 These recalls are almost always related to malfunctions that compromise the safe operation of a vehicle, and ignoring them could lead to a car accident. Obviously, managing the safety of one’s own car is fairly easy, but what about other drivers on the road, especially taxis and rideshare vehicles, transportation options that are increasingly in demand? A recent investigation by 10Investigates looked at the level of compliance with recall notices among taxis and ridesharing vehicles nationally, and revealed a substantial number had outstanding recall issues, some stretching back years. Further, city officials provided little oversight or regulations to ensure these vehicles are receiving the necessary repairs. While some of the recalls are for insignificant issues, others are related to known safety risks, like the danger presented by defective airbags, and present real peril to passengers and other drivers. If a car accident occurs, and one of the vehicles involved has outstanding recall issues, the question becomes – does this fact affect the driver’s liability for the accident? A discussion of the effect of unaddressed recall notices on the liability of a driver involved in a car accident, as well as lawsuits against the car manufacturers, will follow below. Determining if someone is liable for an accident centers on showing he/she was at fault. In regards to the impact of unaddressed recall notices on liability, several factors come into play. First and foremost, the driver must have known about the recall, and the circumstances of the accident itself must be, in some way, caused by a malfunction of the defective part. Assuming these two facts are true, the next issue is how the long the driver knew about the recall and whether the car dealer had the replacement parts available to correct the problem. The longer the driver failed to get the defective item replaced, the easier it is to establish the driver was negligent, and that this negligence led to the accident and the accompanying injuries. the vehicle was not substantially altered from its condition at the time of sale. In other words, the performance of the vehicle was not changed by adding features or parts that gave the vehicle the ability to do more than the manufacturer designed for or intended. If you were injured in a car accident by a vehicle under an active recall, talk to a personal injury lawyer about filing a lawsuit. Car accidents often lead to serious and long-term injuries that you should not have to bear alone if someone else is at fault. The Miami law firm of Pita Weber Del Prado has years of experience handling lawsuits for car accident injuries, and can help you with your case. Contact us for a free consultation.